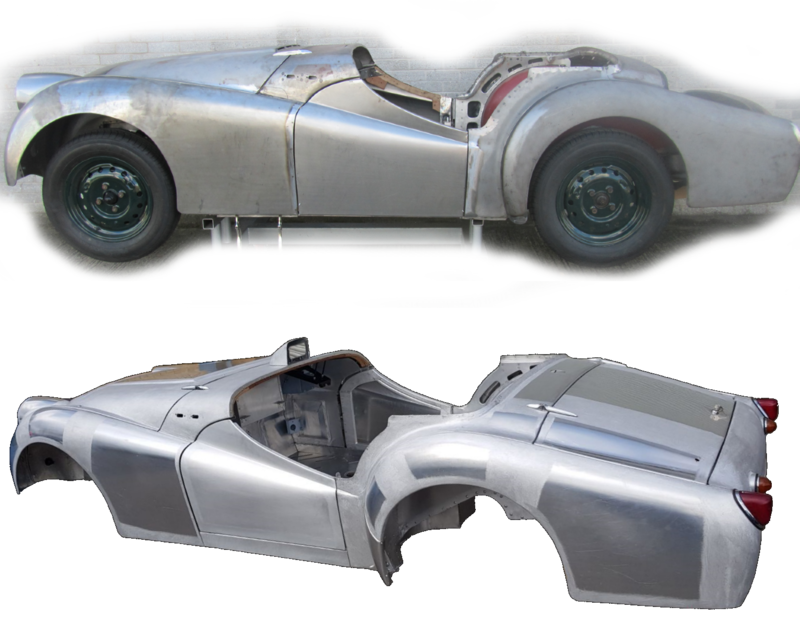 We manufacture complete body packages in both steel & aluminium and have manufactured over the years some 90 body shells. Steel shells are spot / gas welded as original specs. The rear tonneau panel, bulkhead top panel, door frames & bonnet will be repaired as necessary and reused. We stone guard the under panels to the highest specs and in body colour. Fully rebuilt engines are fitted with 87mm pistons and rear oil seal conversion. Gearboxes are sent to a reputable and trusted gearbox restorer. Uprated suspension with poly-bushes and rebuilt differential as standard. ** The outer shell must be built on to an existing inner shell to eliminate mismatches.